Nominees are expected to have brought honor to themselves, their colleagues and their profession; given exemplary service to their state or national professional association; and made significant contributions to the field of education through their service, writings and other activities. Retired AASA members who have been members for at least 10 years, have been retired for at least one year and meet the qualifications above may be nominated for this award. The immediate past president of AASA is automatically nominated to receive this recognition. Information on eligibility and qualifications may be found in a nomination form below. 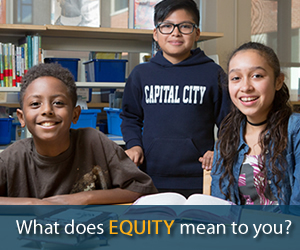 If you have questions, contact Gabriela Iturri at giturri@aasa.org or call 703-875-0731. Click here to nominate an individual for the Distinguished Service Award. 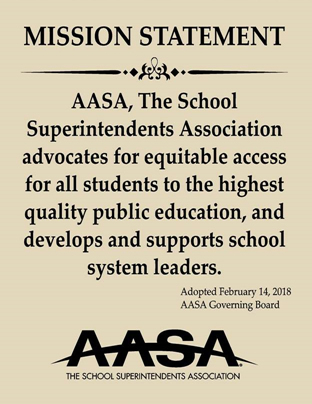 A notice along with an appropriate form requesting nominations shall be sent to members of the AASA Executive Committee, AASA Governing Board and Advisory Committees and the executive director of each affiliated association of school administrators. In addition, the announcement of the Distinguished Service Award competition and the nomination materials for it shall be carried on the AASA website so that any person desiring to nominate a candidate may do so. All nominations shall be made on a form provided by AASA with at least two but no more than four pages of additional data attached to the nomination. No publications or additional testimonials will be accepted. 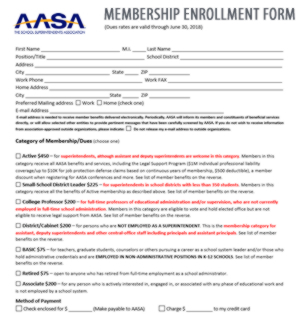 Forms will be available on the AASA website beginning April of each year. All nominations shall have been received at AASA Headquarters no later than October 1. All late entries shall be rejected and a written notification of that action shall be sent to the nominator. Nominees shall have been a member of the Association for at least ten years. Service need notbe consecutive or in active status at the time of recognition. Nominee shall have been retired prior to the calendar year the award is presented. The selection of recipients annually shall include at least one person who is not or has not ever been a superintendent of schools if such an individual is nominated and otherwise qualifies, and at least one person who retired as an active superintendent of schools who is nominated and also meets the qualifications. The nominations shall be judged by a Screening Committee appointed by the president of the Association. Such Committee shall submit its recommendation to the Executive Committee in order for action to be taken prior to the presentation of the award. Of all nominations received, the Screening Committee shall prepare a list of the top ten nominees in rank order and based upon nominee qualifications, may recommend up to ten (10) award recipients. The Executive Committee, by majority vote, shall be able to waive any guideline or criteria. Awardees shall be required to be present at AASA’s National Conference on Education to receive the award unless some disabling situation or other unusual circumstance as determined by the Executive Director precludes such attendance. Upon the end of his or her presidential term, AASA’s immediate past president will automatically become a recipient of the Distinguished Service Award. In the role, she has helped the university become a leader in providing programs for K–12 outreach and support. She retired as Superintendent of Public Instruction for the Arizona Department of Education (ADE). A passionate education advocate, Dr. Ashby has also been a teacher, national Blue Ribbon School principal and university professor. She has used her expertise and collaborative skills to advance school administration success and leadership development through initiation of the Arizona LEADS project at the ADE and the Arizona Superintendents Collaborative Network at GCU, supporting new Arizona superintendents with training and mentors. Dr. Ashby has chaired the boards for the WestEd Educational Research, Development and Service Agency and the Arizona Center for Afterschool Excellence, and she serves on the City of Phoenix Youth and Education Commission as well as the Arizona Commission for Postsecondary Education. She is known for her work in educational advocacy, promoting and mentoring women in leadership, equity and equality for all students, and service to Arizona educators and AASA. Alton Frailey is a 33-year veteran professional educator. Frailey retired in 2016 after serving as superintendent of the nearly 74,000-student Katy Independent School District near Houston, TX, for nine years. He has served as superintendent of the DeSoto Independent School District near Dallas and as Superintendent of Schools for Cincinnati Public Schools in Cincinnati, OH. A classroom veteran, Frailey began his career working with special needs and elementary-aged students in Baytown, TX. He served as a building principal and in various central office positions in the Spring Branch Independent School District in Houston. Frailey has held numerous professional elected leadership positions, including president of the School Superintendents Association (AASA), president of the Texas Association of School Administrators (TASA), president of the Urban Superintendents Association of America (USAA), and president of the Texas Association of Suburban/Mid-Urban Schools (TAS-MUS). He has served on numerous civic boards and in 1999 was elected to the Cypress-Fairbanks Independent School District Board of Trustees, which was selected as the 2002 Texas Honor Board. In 2015, Texas Governor Gregg Abbott appointed Frailey to the Stephen F. Austin State University Board of Regents for a six-year term. Darlene Pierce began her education career teaching the second-grade children of migrant workers in West Sacramento, California. After raising a family, she took over as director for the National Teacher of the Year Program at the Council of Chief State School Officers (CCSSO) from 1981–1990, boosting the award ceremony from a low-key, inner office presentation to the national stage of the White House Rose Garden, with the award first presented by the First Lady and then the U.S. President. In 1987, she moved to AASA, where she helped develop the National Superintendent of the Year Program and served as director of the program until 2009. During her 30+ years at AASA she served as Special Projects Manager, Director of the Award and Recognition Programs, Associate Director of AASA’s Leadership for Learning Foundation, and Director of Development. Over 40+ years serving public education, she has served on numerous selection committees, including the Disney Salute to the American Teacher. She also helped establish the Teacher of the Year Program in the former Soviet Union (still going on in Russia), as well as a teacher recognition program in Japan. Pierce has, in fact, served as a consultant to most education award programs in the United States. She believes international learning, including travel, is pivotal to an understanding of the world and allows the greatest of our public education professionals an opportunity to share and explore new ideas. Some of these professional explorations with Superintendent of Year award recipients included China, Eastern Europe and Western Europe. With Teacher of the Year award recipients, these experiences included Japan and the Soviet Union with the 1989 National Teacher of the Year, Mary Bicovarious. In 2010, Pierce moved to the National Association of Elementary School Principals (NAESP), where she was a key part of development projects, retiring in July 2017. A veteran of education leadership, including 35 years as a superintendent of school districts in five states, Jerry Weast is committed to ensuring all students graduate prepared and inspired for success in college and careers. Founder and president of the Partnership for Deliberate Excellence, through which he works with school districts across the United States to improve the leadership and quality of public education. Dr. Weast’s groundbreaking approaches to improving public education are the subjects of case studies by the Harvard Business School, the Pew Foundation, the Foundation for Child Development, the Panasonic Foundation, and the Carnegie Foundation for the Advancement of Teaching, and of the book Leading for Equity. Analyses of his successful leadership are featured in several books: Improbable Scholars, Team Turnarounds and Respect; the early childhood education initiatives Dr. Weast led in Montgomery County, MD, are discussed in the book Building Blocks. Dr. Weast led Montgomery County Public Schools to achieve the highest graduation rate among the nation’s largest school districts for four consecutive years and the highest academic performance ever in MCPS as the non-English-speaking student population more than doubled and enrollment tipped toward low socioeconomic demographics. During Dr. Weast’s tenure, MCPS received the Malcolm Baldrige National Quality Award for management excellence  and was a 2010 finalist for the Broad Prize in Urban Education. Jane Westerhold has been an educator for more than 40 years. She retired from Community Consolidated School District 62 in Des Plaines, IL, in 2016 after serving as superintendent for 11 years. One of her many major accomplishments was overseeing the successful completion and opening of a comprehensive early learning center, which was named in her honor in 2015 as the Jane L. Westerhold Early Learning Center. Dr. Westerhold is also passionate about preparing students to be globally competitive and became the driving force behind the digital transformation in teaching and learning in District 62. Dr. Westerhold has served many community and educational organizations. She was the 2015 President of IASA, served on the AASA Governing Board, serves on the National Board for NCERT, and is a past Executive Committee member for DALI. Dr. Westerhold currently is serving as the interim superintendent in North Shore School District 112, Highland Park, IL. In addition to being named Illinois Superintendent of the Year in 2013, her other honors include the Illinois “Those Who Excel” Award of Excellence (2013), the School Business Officials Presidential Award (2015) and the Illinois National School Public Relations Association Distinguished Service Award (2013). Before taking on the role of assistant director general at the Lester B. Pearson School Board in 2001, Robert Mills was a teacher, department head and senior administrator with the former Protestant School Board of Greater Montreal. He also led the Educational Services Department at Lester B. Pearson. In 2012, the Canadian Association of School System Administrators named Mills the “Superintendent of the Year” for all of Canada. He was also a recipient of the Xerox Excellence in Educational Leadership Award. Harry Rossi / Retired Superintendent, District 30 Glenview, Ill.
Harry Rossi is the co-director of FED ED, a consortium that addresses federal education issues that impact suburban school districts in Illinois. He is the retired superintendent of Northbrook/Glenview School District 30. During his extensive administrative career, he has served in all building-level administrative positions and many central-office positions. Rossi is an adjunct faculty member at Loyola University Chicago where he teaches educational leadership as well as conducts practicum and internship programs. Additionally, he serves on two university boards as well as several state and national boards. He has presented and published at the state, national and international levels. David R. Schuler / AASA Immediate Past President, Superintendent, Township High School District 214, Arlington Heights, Ill.
David Schuler, a national education leader and superintendent of the second-largest high school district in Illinois, is passionate about preparing students to be college, career and life ready. Schuler launched Redefining Ready!, a national campaign that introduces multiple research-based metrics to demonstrate post-secondary readiness, during his time as 2015–16 president of AASA, The School Superintendents Association. James F. Shoemake / Retired Superintendent, Tacoma Public Schools, Tacoma, Wash.
James Shoemake began his career in education in 1965 as a math teacher. Having gained experience in almost every area of school administration, Shoemake took his first superintendency in Haysville, a suburb of Wichita, Kan. He became active in the community, restored the integrity of the office, and was able to make positive changes in the system. While in the superintendency, he was selected by AASA to be part of a study group to learn about education in the then-Soviet Union. In 2006, Shoemake retired from the superintendency in Tacoma, Wash.
Bruce Hunter’s influence on Capitol Hill helped AASA shape legislation to meet the needs of children, including sharing one of AASA’s most controversial decisions not to endorse the No Child Left Behind Act as it was being passed into law in 2001. Hunter’s direct work has been imbedded in countless pieces of legislation throughout the past three decades. He has always been at the center of the education policy debate in Washington, D.C., and has created countless coalitions that continue to exist today, including the Committee for Education Funding. The federal education landscape is much of what it is today due to the lasting impact Hunter had on it. Countless millions of children have benefited from his staunch advocacy and policies he helped to create. Spike Jorgensen was a founding member and later executive director of Citizens for the Educational Advancement of Alaska’s Children. His achievements include recognition as Alaska Superintendent of the Year and National Superintendent of the Year finalist, recipient of Black Hills State University’s Outstanding Achievement Award, president of the Horace Mann League and a double recipient of the Friend of the Horace Mann League Award. He has served as a superintendent, principal and teacher in South Dakota, Wyoming and Alaska, and as an adjunct professor at the Universities of Wyoming and Alaska. He also served four terms as Commissioner on the Professional Teaching Practices and Post-Secondary Education Commissions. This marks his 44th year attending AASA’s national conference. Arthur Stellar is the vice president of the National Education Foundation and CyberLearning. He was vice president for Renaissance Learning and president/CEO of HighScope Education Research Foundation. A 25-year superintendent, Stellar is recognized as an educator who generates excellence and equity and develops leaders — 52 of his protégés have become superintendents. Stellar was president of ASCD and the Horace Mann League, among other national associations. A four-time Fulbright Scholar, Stellar is widely published and received numerous honors throughout his career, including AASA’s Leadership for Learning and Dr. Effie H. Jones Humanitarian awards. David Pennington is the immediate past president of AASA and superintendent of the Ponca City Public School District in Ponca City, Okla. Pennington served on AASA’s governing board from 2004–2010 and has been a member of the organization and the Oklahoma Association of School Administrators since 1993. He was president of the Oklahoma Association of School Administrators in 2004 and continues to serve on its board of directors. Prior to coming to Ponca City Public Schools, he was superintendent of Blackwell Public Schools in Blackwell, Okla.
Irwin Blumerserved 35 years in the education profession as a teacher, assistant principal, principal and finally as superintendent of schools for 16 years in Massachusetts, seven in the Concord and Concord-Carlise School District and nine in the Newton Public Schools. He then went to Boston College to teach in the Lynch School of Education Graduate Program, preparing principals and superintendents. 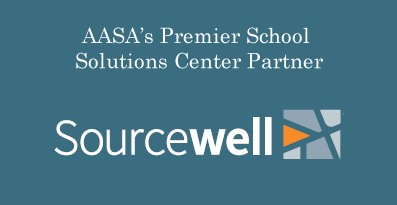 Recognizing the shortage of applicants for superintendent positions, he partnered with the Massachusetts Association of School Superintendents to transform the doctoral cohort program for practicing administrators to one that focused on preparing future superintendents. James F. Causbyis one of North Carolina’s most renowned education leaders. He led three school districts to excellence. While superintendent in Johnston County, student achievement improvedfrom the bottom third to the top 10 percent in the state. Causby passed school bond referendums in Swain, Polk and Johnston counties, and served as a consultant on dozens of successful school bond campaigns. He was honored as North Carolina’s Superintendent of the Year three times, received the prestigious Jay Robinson Leadership Award and the Order of the Long Leaf Pine, which is North Carolina’s highest civilian award. After 27 years as superintendent, Causby served as executive director of the North Carolina Association of School Administrators for two years and the North Carolina School Superintendents Association for six years. Steve Rasmussen has served as an educational leader in the state of Washington for more than 40 years as a teacher and building and central office administrator, including 24 years as a school superintendent. He served as president of the Washington Association of School Administrators, national president of the Horace Mann League and on the AASA Executive Committee (2004–2008). Rasmussen was named Washington State Superintendent of the Year and a National Superintendent of the Year Finalist in 2002. Amy F. Sichelis the superintendent of schools for the Abington School District in Abington, Pa., a position she has held since 2001. She has served in public education for Abington for 39 years, as a counselor, psychologist, central office administrator and assistant superintendent, and for 15 years as superintendent. Sichel served as president of the Pennsylvania Association of School Administrators in 2010–2011 and as president of AASA in 2013–2014. She was named a finalist in the Women in School Leadership Award from AASA and Farmers Insurance in 2012, was the Pennsylvania Superintendent of the Year in 2010 and was the recipient of the 2010 Tech-Savvy Superintendent Award from eSchool News. Sichel is an adjunct associate professor at the Graduate School of Education at the University of Pennsylvania, a lecturer at Delaware Valley College and a mentor/coach for AASA’s national superintendent certification program..
Lawrence C. Walker has served in educational leadership roles throughout a career that spans five decades. His leadership led Piedmont Community College to construct a facility on the campus of the only high school in the county. Walker collaborated with various stakeholders to build the first Civic Center on public school property in the United States. After serving as superintendent, Walker served as the executive director of the Central Carolina Regional Educational Service Alliance, where he provided leadership and mentored superintendents in the region. Benny L. Gooden is the superintendent of schools in Fort Smith, Ark., a position he has held since 1986. He has served in public education for 48 years as a teacher, administrator and school superintendent. Gooden has served as president of his state administrators association and as president of AASA in 2012-2013. He was named Arkansas Superintendent of the Year in 1992, recipient of the Dr. Dan Pilkington Award by the Arkansas School Boards Association in 2000 and the Phoebe Apperson Hearst Award by the National PTA in 1999. Dennis Ray has served in educational leadership roles in a career that spans five decades, including six school districts over a period of nearly 30 years. While those contributions are significant, it is his work in developing school system leaders through Washington State University’s superintendent preparation program that makes Ray deserving of this award. In 1994, Ray was recruited by Washington State University to restructure the WSU Superintendent Certification Program. The resulting program, “Leaders for Tomorrow’s Schools,” is a two-year, field-based program with a strong focus on social justice, ethical decision-making, school board relationships and the improvement of student learning. Today, nearly one-half of Washington’s school district are or have been led by superintendents who are graduates of his program. Richard L. Thompson has served in public education for 45 years in numerous roles, including high school teacher and principal, public school superintendent, North Carolina Deputy State Superintendent, Vice President for the University of North Carolina General Administration and State Superintendent of Education in Mississippi. He also served as director of the North Carolina Center for the Advancement of Teaching, a North Carolina institution focused on advancing teaching and keeping high-quality teachers in public education classrooms. Herbert Berg has been a leader in public education for 40 years. He was superintendent of schools for 35 years, serving in six districts in Washington, Virginia, and South Carolina. He was also the executive director of the Association for the Advancement of International Education and served the U.S. Department of State/Office of Overseas Schools, School to School Partnership in China for seven years. Berg was twice named top 100 North American Executive Educators by Executive Educators Magazine. He was named Superintendent of the Year in South Carolina. He was also named a National Tech Savvy Superintendent by eSchool News. He was elected president of the Washington Association of School Administrators and was a board member of the Washington Post (D.C.) Council of School Superintendents. Berg received his B.A. from Seattle Pacific University, his M.A. from Seattle University and his Ed. D. from Washington State University. Patricia Neudecker has been a public school educator for 30 years, as middle and high school teacher, assistant principal, principal, director of instruction, assistant superintendent, and superintendent—most recently, superintendent of the Oconomowoc Area School District (OASD) in Oconomowoc, Wis. She is the immediate past president of the American Association of School Administrators (AASA). Neudecker is an active member of the Wisconsin Association of School District Administrators (WASDA), Phi Delta Kappa, and the Horace Mann League. She was appointed to a Wisconsin Department of Public Instruction Advisory Committee, the 2012 Wisconsin Legislative Advisory Council and has served as chairperson of the southeastern Wisconsin superintendents group. She is one of several writers of the CESA 1 Transforming Public Education: A Regional Call to Action whitepaper. Neudecker was named WASDA Educator of the Year 2012. She completed her undergraduate studies at University of Wisconsin-Eau Claire and UW-Stout and a Masters and Ph.D from the University of Wisconsin Madison in Educational Leadership and Policy Analysis. Paul Shaw served as a superintendent for twenty-six years in South Carolina and Georgia, with his most recent position as superintendent of the White County School System in Cleveland, Ga. He began his career as a social studies teacher and coach and then served in various administrative capacities as well as teaching part-time for Piedmont College in Demorest, Ga.
Shaw recently served on the Executive Board of the American Association of School Administrators (AASA), the Governing Board of AASA representing Georgia, and the Board of Directors for NCERT. He served as president of the South Carolina School Superintendents in 1998. He was Superintendent of the Year for South Carolina in 2000 and Georgia in 2010. He earned a B.S. degree from the University of Southern California (USC), an M.A. degree from Western Carolina University, and a Ed. D from the University of Southern California. To receive the Distinguished Service Award, an individual must have been an AASA member for at least 10 years and be retired from a full-time position in educational administration. Each year the honorees includes AASA’s immediate past president. The Distinguished Service Award carries a life membership in AASA. Hatrick is the immediate past president of the American Association of School Administrators. He has been a member of AASA for 23 years and has served on the AASA Executive Committee and the AASA Governing Board. Hatick has served as superintendent in Loudoun County (VA) since 1991. His entire career in education, which began in 1967, has been spent with Loudoun County Public Schools (LCPS). Previously, he was assistant superintendent, director of instruction, foreign language supervisor, guidance supervisor, director of special education, principal of Loudoun County High School (from whence he graduated), assistant principal and high school teacher. He has served as president of the Virginia Association of School Superintendents and the Washington Area Superintendents' Study Council. He has been a guest lecturer at University of Virginia, George Mason University, Shenandoah University and Marymount University. He received his doctorate and master's degrees in education from Virginia Tech and his bachelor's degree in English from the University of Richmond. Talbott is the recently retired national executive director of the Association of Educational Service Agencies (AESA) in Arlington, Va. which serves as the national voice for educational service agencies. 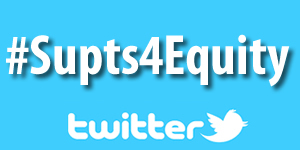 He is chair of the Universal Service Administrative Company (USAC) which administers the Schools and Libraries Program, commonly known as "E-Rate," offering discounts to schools and libraries to provide affordable telecommunications and Internet access. From 1982 to1998, Talbott served as superintendent of Educational Service District 101 (ESD 101) in Spokane, Wa., where he was general manager of the STEP/Star Network, ESD 101's educational television network. STEP/Star, one of the nation's oldest and largest distance learning networks, produces live, interactive instructional programs delivered by satellite and cable to youth and adult audiences in six time zones. Talbott has served as university instructor of graduate and undergraduate courses, secondary teacher, coach, vice principal, principal and local school district superintendent. Mark Bielang has been superintendent of Paw Paw Public Schools in the southwest corner of Lower Michigan for 17 years. 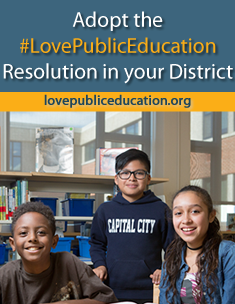 The district has approximately 2,300 students in grades K-12 with additional students enrolled in the district’s Early Childhood Center and Adult/Alternative Education Programs. Prior to Paw Paw, Bielang served as a high school principal in Ionia and Central Montcalm, both in Michigan. Bielang is the immediate past president of the American Association of School Administrators and has previously served on the Governing Board and Executive Committee of AASA. In 2005 he served as president of the Michigan Association of School Administrators. Bielang serves as president of Eastern Van Buren County Habitat for Humanity, is on the Advisory Board of Bronson-Lakeview Community Hospital, and a member of the Paw Paw Area Kiwanis Club. Howard Coble began his career as a 6th-grade teacher in 1950. He served as an elementary principal for 11 years before moving into district leadership. These included stints as director of elementary education in Edmonds and superintendent in Snohomish and Olympia, all in Washington. After 31 years in school leadership Coble became executive director of the Washington Association of School Administrators, where he served for 11 years. Coble was active in state legislative work and chaired the committee which developed the first steps in a plan to implement full funding of basic education. He also served as a trustee and chairman of the board of St. Martins University and of chair of Providence St. Peter Hospital Foundation. Coble currently is president of the board of directors of Education of Service District 13, a public agency serving 44 school districts in Western Washington. Theodore J. Kowalski is a professor at the University of Dayton where he holds the Kuntz Family Endowed Chair in Educational Administration. His professional publications include 31 books and over 150 book chapters, monographs and refereed journal articles. His textbooks on the superintendency, school public relations, principalship, and administrator communication are widely used in preparation programs. A former superintendent and college of education dean, he is editor of the Journal of School Public Relations and an editorial board member for the Educational Administration Quarterly. Kowalski previously served as a member of the AASA Committee on Women Administrators and the editorial board of the AASA Professor. He is a member of the editorial board of the AASA Journal of Scholarship and Practice. 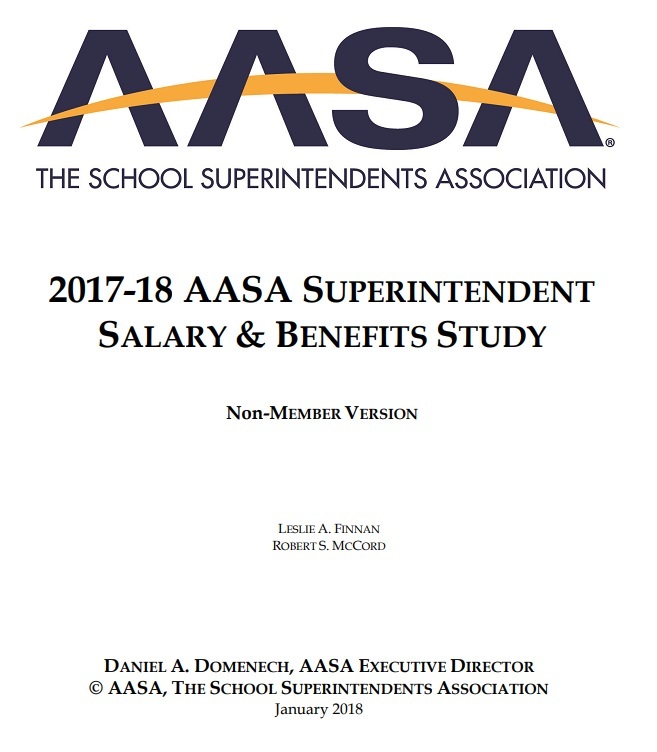 In 2010, he was the lead researcher and author of the AASA decennial study of superintendents, a project he co-directed with Robert McCord. To sponsor the Distinguished Service Awards, contact Heidi Schmidt at 703-875-0761or hschmidt@aasa.org.